Reigning champion will return to defend title in 10-boat competition. 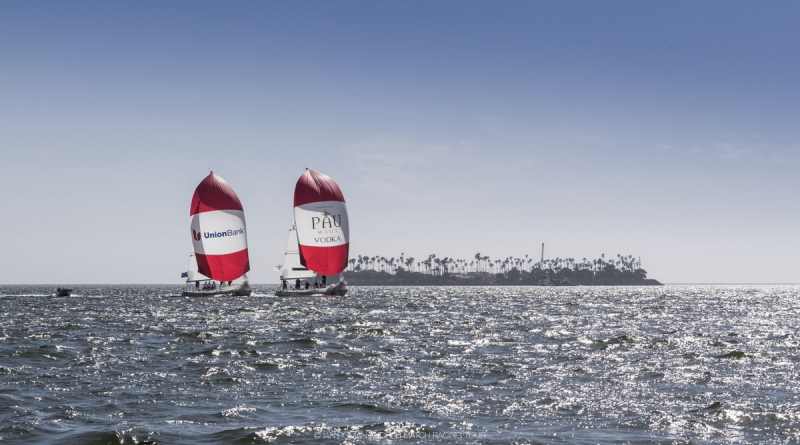 LONG BEACH – British sailor Ian Williams will return to Long Beach to defend his Congressional Cup title, joining some of the biggest names in match racing in mid-April. In all five of the world’s top 10 ranked match racing skippers will compete against each other (and more) in the 54th running of the Congressional Cup, which will be hosted by Long Beach Yacht Club, April 18-22. Long Beach YC will also host the Ficker Cup, April 13-15. The Ficker Cup will determine the final two slots of the Congressional Cup. The top 8 finishers will take home a cash prize; first place, for example, earns $16,000, while second and third places earn $14,000 and $11,000, respectively. The intended course will be off the Belmont Memorial Pier in Long Beach. Ranked sailors expected to compete in this year’s Congressional Cup race are three-time winner Taylor Canfield, Harry Price, Sam Gilmour and Chris Steele. Also expected to participate are Eric Monnin, Joachim Aschenbrenner and Scott Dickson. This year’s race will be a 10-boat, double round-robin format. Teams will be competing against in each other in a one-on-one format, as is usually the case with the annual sailing event. The double round-robin format would allow teams to face-off against each other twice. The Congressional Cup debuted in 1965; its Crimson Blazer is a coveted prize, similar to the Green Jacket of The Masters in golf. Visit lbyc.org for more information about this year’s Congressional Cup and Ficker Cup.